Apparently, in 2006, the young boy in question was given three doses of the hexavalent vaccine. According to the decision the boy manifested symptoms immediately that culminated in a diagnosis of autism in 2010. The parents attribute the child’s autism to the vaccine, and are suing for compensation. The decision was made by a single judge in the labor court – and the scientific community’s statement highlighted that that’s part of the problem: that type of compensation proceeding was not subject to a full process of fact finding, that would have allowed more in depth discussion of the scientific issues. The temporal connection between the vaccine and the symptoms. The vaccine ingredients, focusing on thimerosal, aluminum, and polysorbate 80. Mention of five cases of autism in a report about the clinical trials from GSK. The problem is that none of these arguments actually support a causal connection, and some are downright wrong. In other words, the decision sees the mention of five cases of autism in the report as evidence of a causal connection. On p. 625 of the report (pdf), the decision does mention such cases – but seeing that mention as evidence of causation is a misreading (or misrepresentation) of GSK’s report. The part of the report in which this was mentioned is Appendix 4E, titled “Cumulative tabulation of all unlisted events from serious unlisted spontaneous reports and all serious unlisted reactions from clinical trial cases reported since launch,” and starts on page 592. In other words, it’s anything reported. Whether caused by the vaccine or not. A quick glance at the other reported reactions will demonstrate the problem of using these reports to show causation. The report mentions, for example, pertussis (p. 609) among the events reported: but the vaccine includes the acellular pertussis vaccine (pdf), which only has single proteins: not a living, or even dead, bacteria. In other words, it can’t cause pertussis. Similarly, the report mentions (p. 613) hepatitis B – which also only has sub-units, nothing to give the disease – and H1N1 and measles (p. 614), not covered by the vaccine, as reported events – even though there is no way the vaccine could have caused any of those. The report also mentions “forearm fracture” (p. 614) – even though vaccines don’t break bones. As this very limited list shows, listing of something in that section of the report is not evidence that the vaccine caused it. The judge in the labor court – who is not required to be an expert in this – may not have known that. But the expert writing the report should have. By using the report in this way, the expert misled the court into a problematic decision. This claim has been referred to by science bloggers as the “toxins gambit” (for more information see here, here, here and here; go here a more detailed, referenced discussion). As explained by others, this claim is incorrect. The three ingredients mentioned in the decision, for example, are ingredients we are exposed to from other sources – and in the tiny amount in vaccines, the evidence is that they are safe. There is also no evidence connecting any of them to autism, and for one of them – thimerosal – there is abundant evidence to the contrary. The decision is incorrect in describing thimerosal (also called thiomersal, depending on geographical location and language) as “banned because of the proven neurotoxicity.” First, in the United States, for example, thimerosal is not banned. It has been removed from childhood vaccines as a precautionary measure. It’s still used, however, in some multi-dose influenza vaccines, to protect against contamination with bacteria. More important, however, it has never been shown harmful. And more specifically, many studies examining whether thimerosal is linked to autism, or whether it negatively affects neuropsychological outcomes, found that no, it is not. Let me repeat: studies looked. In different countries by independent teams. Again and again. Asking whether the amounts of thimerosal in vaccines cause autism or harm neuropsychological development. The answer, again and again and again, was no. 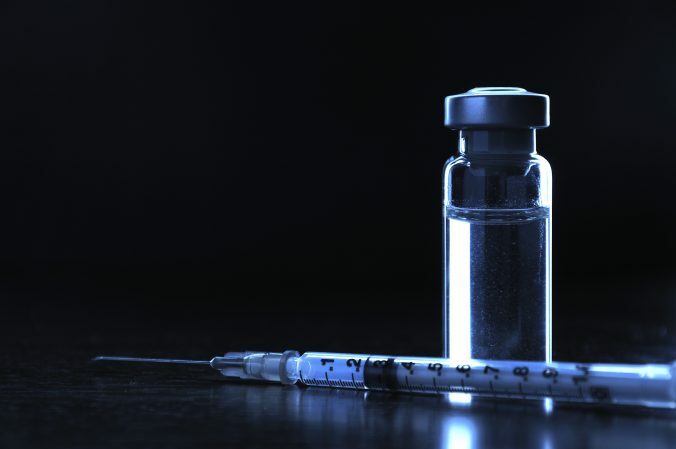 By raising the claim that the mercury preservative thimerosal could contribute to the boy’s autism, without mentioning the abundant evidence against it, the expert misled the court. A decision based on this problematic, counter-evidence claim is unsupported, and should not be allowed to stand. The hexavalent vaccines contains tiny amounts of aluminum salts as adjuvants: ingredients that enhance the immune response, allowing less of the active ingredient to be used (pdf). The decision, based on the expert report, suggests that aluminum is toxic. But in the tiny amounts aluminum salts are present in vaccines, the claim that it is toxic is against the evidence. And there is no shred of evidence connection aluminum salts in vaccines or polysorbate 80 to autism. By using the toxins gambit, again, the expert misled the court into making an unfounded decision. The expert correctly did not base his decision just on this, and it’s clear why. As scientists point out again and again, a temporal connection alone is not evidence of causation. With certain harms happening in a child’s first two years, and with millions of children vaccinated, it’s inevitable for some things to happen – or become noticeable – right after a child is vaccinated. It’s natural for the parents in that situation to blame the vaccine, but their natural leap to that conclusion does not make it true. This has been directly studied in at least one case in relation to Sudden Infant Death Syndrome (SIDS). SIDS rates peak between 2-4 months, and children are vaccinated in those ages. And one group of Australian researchers calculated the odds – and showed that inevitably, some children will die in the 24-48 hours after the vaccine. Of course those parents will think it’s the vaccine, and blame themselves, suffering agony, anger, guilt. But is it the vaccine? Studies examined the question – and found no link between vaccines and SIDS. Vaccines don’t cause SIDS. And this decision, based on inaccurate claims and anti-vaccine gambits, does not show that they cause autism, either. The scientific community has been right to highlight that there is no link between vaccines and autism, that the hexavalent vaccine has been given safely to millions of European children, and that preventable diseases carry serious risks. Hopefully, the Italian court vaccine autism ruling will be appealed, and will be reversed on appeal. The court has been ill served by its expert, and the Italian people have been ill served by their labor court. It would be tragic if children are harmed because some people will be misled by this problematic decision into not vaccinating, based on a belief that vaccines cause autism – when all the evidence goes the other way.